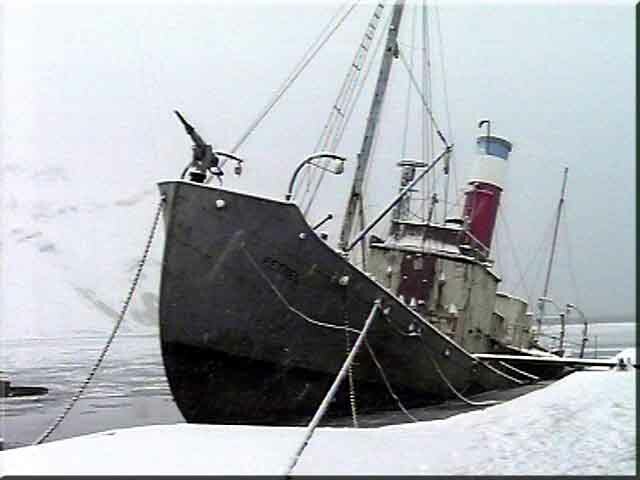 Albatros was built in 1921 at Svelvik in Norway. Principal dimensions - 228 tons and 107 feet in length. Petrel, with Curlew moored outside on the left and the whale catcher stores on the right. Looking over Petrel and Curlew to the plater's shop, machine shop and fuel tanks. 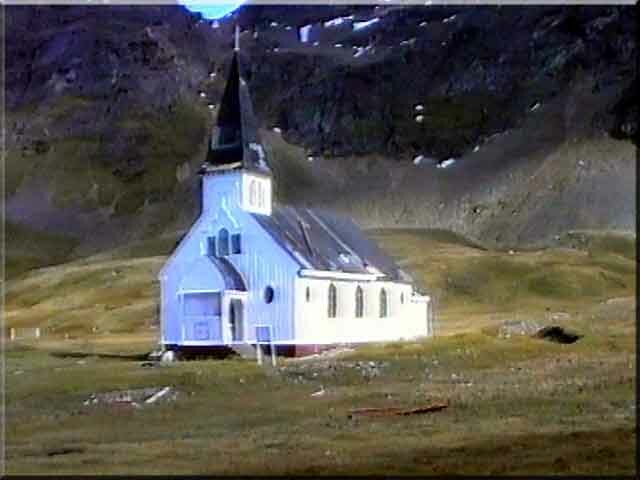 Still in use, the Church was prefabricated in Norway and shipped to Grytviken for assembly. The Church was consecrated on Christmas Day 1913. 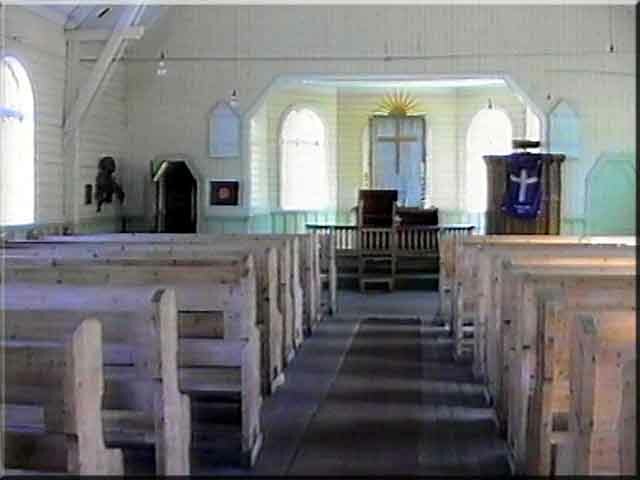 The first pastor of the Whaler's Church was Kristen Loken and the position has remained vacant since 1931. 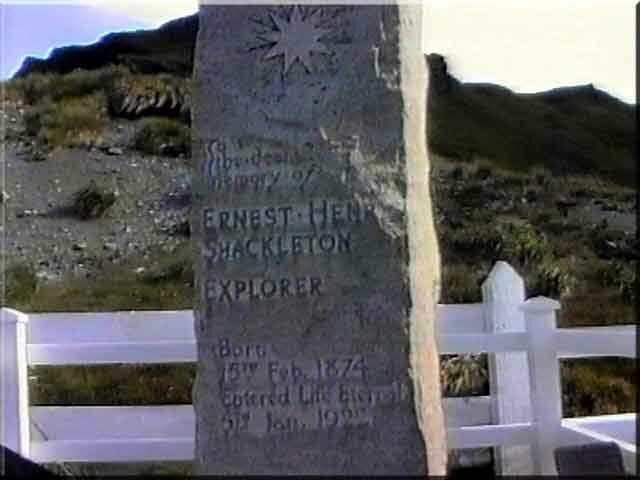 The cemetery contains not only the remains of whalers and sealers, but the grave of the explorer Sir Ernest Henry Shackleton. One of our most famous explorers, Sir Ernest Shackleton had achieved much in his life, dying just before his forty-eighth birthday. 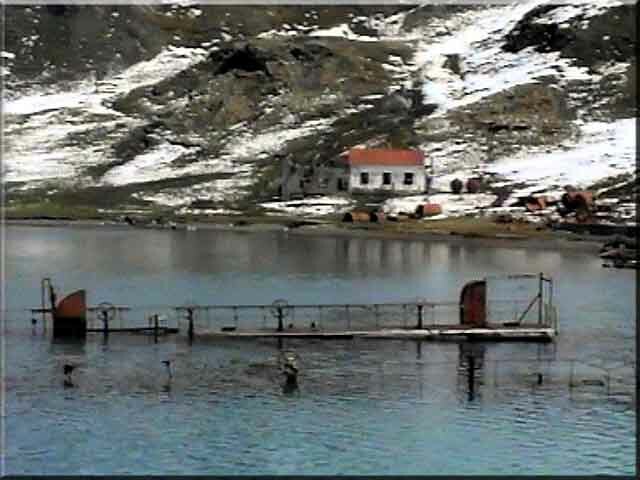 The Floating Dock at Grytviken, invaluable for emergency repairs on stern seals, shafting, propellers and hull problems. 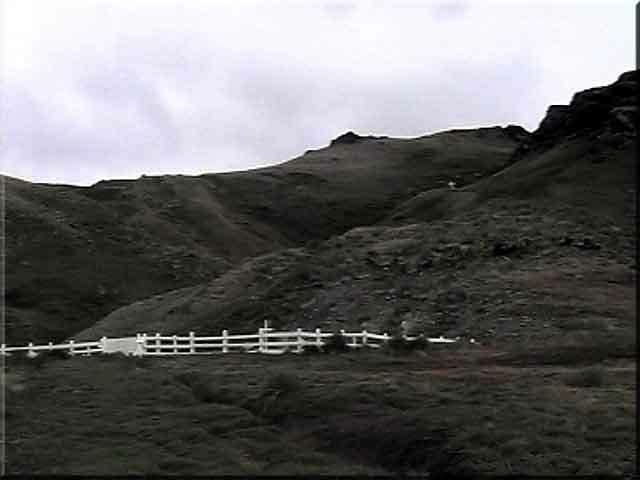 The dock succumbed to the elements and sank in 1973. The Power Station is in the background. The white building with the red roof houses the water turbines and the grey section without a roof houses the diesels. 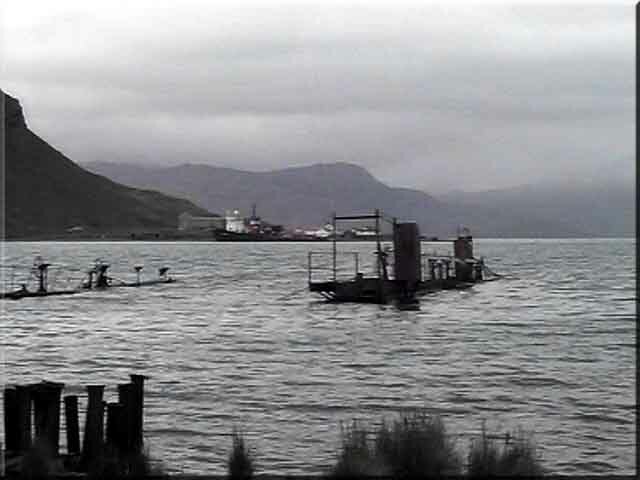 Another view of the Floating Dock, looking over King Edward Cove to King Edward Point. 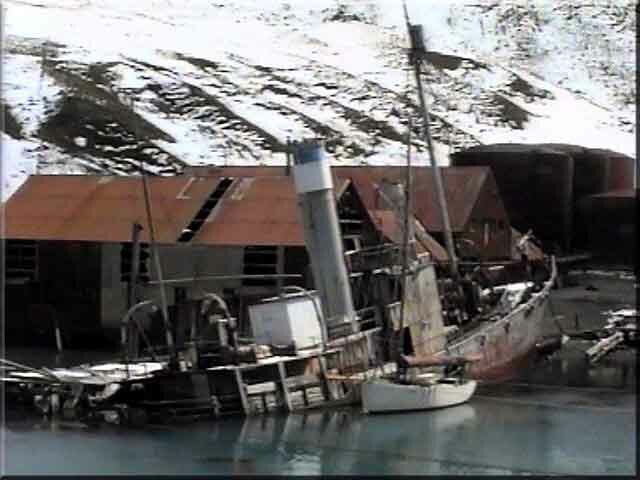 Dias (left) and Albatros lying on the Harpoon Jetty at Grytviken. 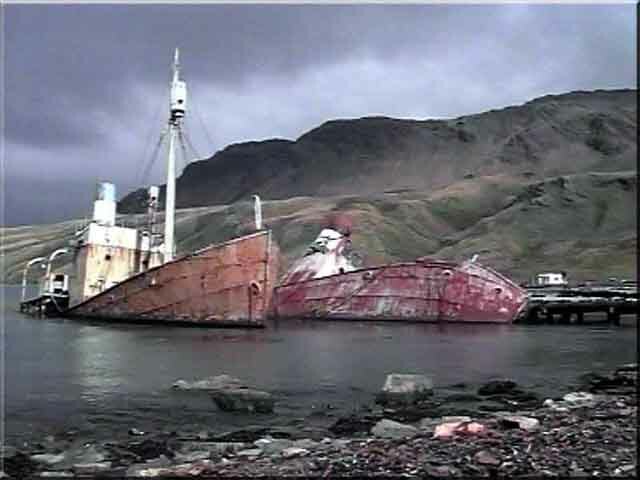 Both vessels arrived in South Georgia as whale catchers, later being converted to sealers. 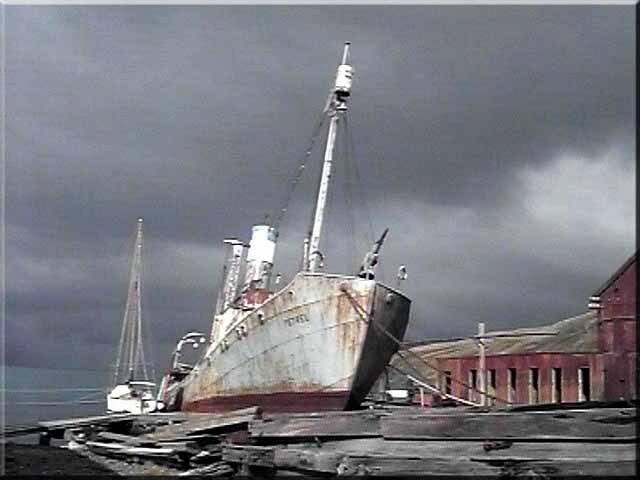 Dias (ex Viola) was built in 1906 at Beverly near Hull as a trawler. 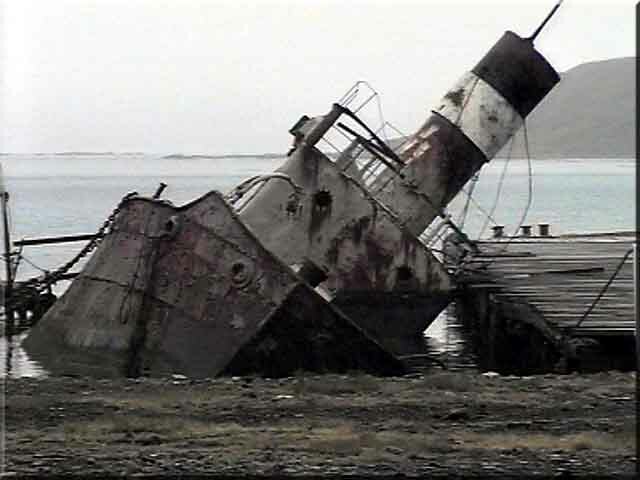 Dias was originally coal fired, but converted to oil in 1956. Principal dimensions - 167 tons and 112 feet in length.